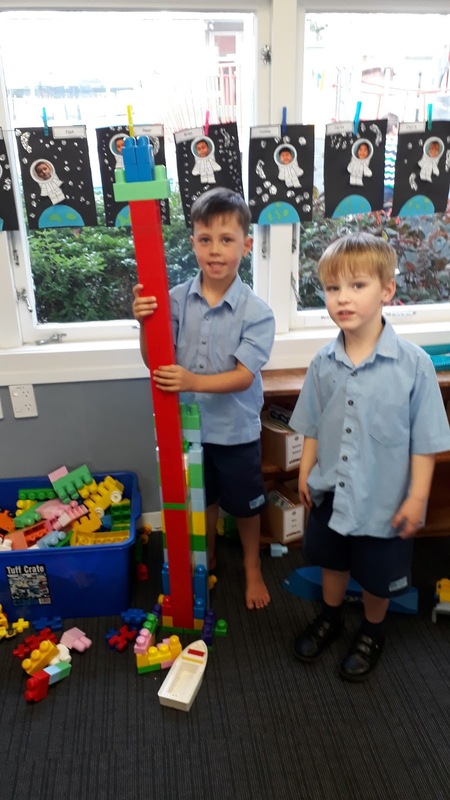 William was so proud of his tower he insisted that Mrs Burge took a photo. Wow William! This is a tall tower! How many blocks did you use?